Canam Consultants Limited - Service Provider of exams coaching, career counseling & selecting a university in Ernakulam, Kerala. Scoring well in exams like IELTS, TOEFL, PTE, GMAT, GRE and SAT open the gates for dream destinations in education. These exams are considered parameters to judge students’ eligibility and ability for admission to the specific universities and colleges and to qualify for monetary loans for higher studies abroad. Many reputed universities across United Kingdom, USA, Australia and other countries recognize some or many of these tests. As a result excellence in these exams acts as a deciding factor for a student’s future. The scores in these exams also define the students’ eligibility for visas and scholarships. At Canam we offer one-stop-solution for all your queries for education abroad. Right from counseling, filling in application for the examination and submission to providing proper training to make you excel and score high. We offer test prep facilities with exclusive courseware from Nova Press, USA at some of our branches across India. The Graduate Management Admission Test (GMAT), a computer adaptive test (CAT) that reviews investigative, quantitative, writing, spoken and reading capabilities in standard written English to get admission into a graduate management program like MBA. The management programs offered by a large number of universities and institutions across the world use the GMAT exam as the selection criteria. The total GMAT score is assessed from 200 to 800 and judges performance on the quantitative and verbal sections together. The GMAT exam is categorized into four parts: An analytical writing assessment, integrated reasoning, the quantitative section, and the verbal section. The Graduate Record Examinations (GRE) is a uniform test required for admission to graduate schools in the United States and to the various other English-speaking countries and English based graduate business programs across the world. GRE is meant at measuring the verbal reasoning, analytical writing quantitative reasoning, logical writing and critical thinking capabilities of the students. International English Language Testing System (IELTS) is a global standardized test to check the proficiency in English language. 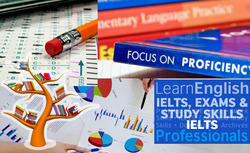 University of Cambridge ESOL Examinations, the British Council IDP Education Pty Ltd jointly manages IELTS. IELTS has two editions: Academic Edition is intended for those who are looking for education abroad in professional courses and the second edition is General Training meant for non academic training or for work experience or for immigration. The IELTS is very well recognized by the majority of educational institutions across Australia, Britain, Canada, Ireland, New Zealand, South Africa and the United States. TOEFL-iBT is an exam for English as a foreign Language. 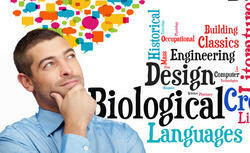 The test aims at assessing the English expertise of people that do not have English as their native language. The test is managed world over by Educational Testing Service (ETS). The test is one of the parameters for selection for the admission into a foreign university or college where English is the official language. Pearson Test of English Academic (PTE) is an educational English test for studying in the UK, Australia, USA and in other countries. The test is acknowledged by UK Border Agency (UKBA) and Australian DIAC for student visas. The test aims at certifying test taker’s English aptitude for travel, education and better employment. Zeroing down on a career path is the most important decision in an individual’s life. Each one of us has gone through this difficult phase. However, with career counseling services providers like Canam, selecting a career is no more a Herculean task. Taking up a higher education program abroad is a big decision monetarily and emotionally for parents as well for the students. Whether you are a fresh 10 + 2 pass out, a fresh graduate with/out work experience, or a post graduate, Canam has successful options for all. Expert advisers at Canam help students in working on their career options after analysis of academics, aptitude/ interest of the students, available finances, chances of scholarships, specific location requirements, etc. At Canam we make sure that all possible efforts are taken to guide students in selecting their study programs. Tens of thousands of students have benefited each year and despite the service being so exclusive, we provide it ‘FREE OF COST’ to our clients. At Canam we comprehend and investigate the career requirement of the students. We provide professional support and assist students in organizing their opinions and ideas about career options and professional objectives. Students looking for postgraduate and doctorate level studies from abroad should select the universities having worldwide recognition and that are offering excellent education. At Canam we help students to take their final call on the selection of the right university. At Canam we assist students in filling up the admission form, getting financials ready and all the documentation and in applying for visa. The counselors at Canam help students at every step to make them realize their dream of studying abroad successful. Visa Processing and visa interview holds the key to a students’ successful departure to a foreign university. The visa team at Canam is always updated with the latest requirement, immigration policies and visa checklists. At Canam we have a database of possible visa interview questions depending upon students’ profile. 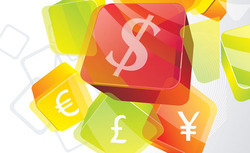 At canam we also provide assistance to the students on arranging the finances. We make students understand the entire breakup of the expenditure involved and suggest them various options available in making them realize their dream of education abroad. Aiming to know the real reason behind your decision to for education abroad and understanding scope of your study area nationally and internationally and to know your academic background SOP (Statement of Purpose) is required from a students’ end. At Canam we help students in preparing genuine and honest still appealing SOP. Selecting a university abroad for education needs adequate guidance and expert advice to zero down on a particular country, university, and study program. Canam UniSearch offers one-stop solutions to all your queries towards university selection. At Canam UniSearch we help students get admissions into Universities that best suit their personal, academic, financial and other parameters. The knowledge and rich experience of our counselors allows students to arrive at the best possible decisions. Research: The more research the student puts into the selection process the better are the chances for getting the right course and right university. Guidance: Once the entire research work is done at Canam UniSearch we help students to get acquainted to all the positive and negative aspects of going to any particular university and course. Course specific university: For certain specific courses the opportunity for course and university selection is quite limited. In that case as the choice is limited so Canam UniSearch is best to guide you for the university selection. The best thing about Canam UniSearch is that this service is offered absolutely free of cost. With years of experience and knowledge at Canam UniSearch, we offer assistance in recommending students to the Universities. At Canam UniSearch we prepare proposals for students who are looking forward to higher education abroad. We send recommendations to the universities based on students’ capabilities and caliber and elaborating on the reasons why he/she should be allowed to study in the university. Also we highlight, how specializing in a course from the university will help the student towards future career prospects back home and abroad. At Canam UniSearch our only aim and objective is to help students get admission to the best college and university that best suits their requirements, caliber and academic background. We first study in detail the academic background and interests of the students. Then we suggest the courses and universities as per their potential. Once the student’s shortlist the courses and the universities that they would like to go to then we connect with the universities. We send our own recommendations, stressing upon a student's strengths and reasons why they should be granted admission. The University admission instructors consider these recommendations in their decision making very seriously. As a result of the personalized guidance related to the colleges and universities Canam UniSearch has the highest success rate in helping students settle in the courses of their choice. 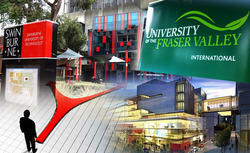 Canam UniSearch keeps a regular contact with all partner Universities by visiting them. Aiming to provide the best services and student satisfaction we regularly invite University Representatives from all around the world to hold interviews and offer on the spot admission at our offices. At Canam Unisearch we also make every possible effort to ensure that every student is placed in the University of his/her choice by ensuring that all documentation is complete and that through confirmations are made before each application is submitted. We also make an effort to evaluate each student’s background carefully before suggesting study options as this ensures a strong application process. Certain Universities offer scholarships to deserving students. At Canam UniSearch we being aware of these aids we recommend the names of the deserving students to the various universities. Taking admission in a university abroad is a tough call. One needs adequate guidance, knowledge and information about the university admission processes unique to that university and the country. At Canam UniSearch we make every possible effort to make student’s admission process in an international university simple and smooth. We thoroughly work on students' applications, elaborating on strengths and explanation of weaknesses. We also guide the student towards preparing a top quality Statement of Purpose (SoP). At Canam UniSearch we assess the student’s English skills and send our suggestions/recommendations to select Universities for admission. We follow up with the selected Universities to help a speedy and positive response. Canam UniSearch also helps students with exhaustive brochures, CD’s and application forms. Here at Canam UniSearch we offer personalized attention to the student’s applications, ensuring that the submission of an error free and well presented application. The Letter of Recommendation (LOR) and Statement of Purpose (SOP) have great significance in the application process. The expert counselors edit and polish the written material. The best thing about taking assistance or counseling from Canam UniSearch is that the service is provided Free of cost. Money plays the most significant role in releasing your dreams for education. Canam offers guidance to students for education loans. At Canam UniSearch we have knowledge about all the national banks providing loans at affordable rates and with various approved financial institutions and private banks offering loans. This is a part of our regular service to all our registered student clients. Studying abroad is a costly affair. Taking admission in an advanced degree program in a foreign university requires huge amount of money. Students and their parents need to bear the expenses of College fees along with various other expenses like food, accommodation, travel, stationeries etc. The foreign Universities mainly offer meritorious grants or scholarships to students on tuition fees. However majority of the times students are encouraged to support their education due to very limited availability of grants and scholarship programs. At Canam UniSearch we help students in our own way to secure financial aid by helping students apply for private loans, approach funding organizations, and work with them on their budgets and complete college fee transactions. Students need to plan their finances in advance. The best thing would be to consult your parents and other family sponsors. Try checking how much money they can commit each year to your education. In another case the students can also take study loans from banks. Canam UniSearch readily assist the students in planning their finances and taking loan from banks and also assist students in making a plan for the financial arrangements. Going away from home even for a day or so is always tough and imagine how it would feel when you have to travel abroad and that too all alone for years. At Canam UniSearch we understand the students’ and their parents’ anxiety and make students’ journey quite comfortable and safe. When we talk about travelling assistance we are not just talking about flight tickets from native land to the foreign land or desired country but also travel from the airport to place where the students will be staying or if the stay is in hostel of the university campus. At Canam UniSearch we take every possible effort to make a student’s journey from their native country to the foreign country of their choice as seamless as possible. 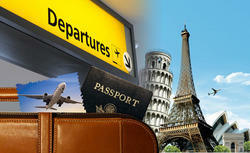 We guide them with travel tips and also assist with any airline bookings. This valuable service is provided free of cost. Canam UniSearch takes the responsibility to book flights well in advance to help students get ideal departure dates, routes and that too at an affordable discounted rate. We also assist students in identifying the best airlines for heavy baggage schemes. There are a number of international airlines that offer special discounts for students of which Canam UniSearch is aware of and thus we suggest the names of these airlines to the students. We have a separate vertical that handles international travel and the team at Canam UniSearch assists students in getting the best deal in airfares and baggage. Canam UniSearch also has tie-ups with travel agencies that offer the most favorable airline services, at the most reasonable rates. Similarly, we also have tie-ups with taxi service providers abroad to guarantee smooth travel from airport to the place of their stay or to the university campus. We also provide students with local maps that students can study to get familiar to local areas and roads along with a handbook of emergency contacts that can be used at the hour of need. The value of currency in foreign exchange keeps on fluctuating on daily basis that intensely has an effect on loss of money in currency exchange. 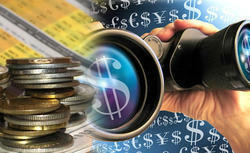 At Canam UniSearch we provide support for FOREX at competitive exchange rates and the process is quite fast. We provide assistance in the services like preparing Demand Drafts, International Debit Cards, Travelling Cheques, Wire Transfers and exchange of currency just before actual travel. Major companies dealing with these services give our students discounted rates and within short timelines. Canam UniSearch is associated with local currency exchange providing companies and assist students in getting the best deal on a low price. Boarding fee, lodging fees, and tuition fees whatever is your need or requirement related to foreign exchange Canam UniSearch is there to always support its students. Every student goes through feelings of leaving the comfort of home before taking his flight abroad for education. Therefore, at Canam UniSearch the counselors are sensitive towards this situation and we provide all the assistance and appropriate set of information that will help students in their airport pickups, accommodation arrangements, handling queries at the port of entry, migration, travel and in their settlement abroad. We are available to help over email or phone even if a student feels uncomfortable after reaching and needs assistance. At Canam UniSearch organize pre departure training sessions for the students. It has been observed that majority of students traveling abroad face hassles while airports, transit, landing, luggage etc. We at Canam UniSearch explain each and every aspect of pre-departure to the student. At Canam UniSearch we have references of the students worldwide. Students are allotted a 24x7 accessible number while traveling. It helps students to call Canam UniSearch for any clarification or take any information required while traveling. At Canam UniSearch we provide a checklist of pre-departure guidelines depending upon the country, city, or campus selected by student. We understand the value of money spent and try our best to get students some form of financial aid in the form of tuition fee bursaries, scholarships, application fee waivers, etc. All awards are given at the discretion of the Scholarship Committee of the University. Candidate with excellent academics, good performance on standardized exams and extra-curricular activities are eligible for scholarship awards. But this information needs to be presented in manner that it gets highlighted and noticed. 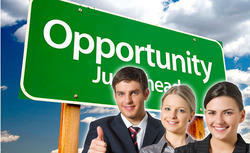 At Canam UniSearch we make every possible effort to help deserving candidates get scholarships and financial assistance. In addition we highlight those programs that have internship options (paid or unpaid), industrial placements, etc to help students get a foothold into the work place much before they set out to look for jobs during their post study work permit periods. Scholarships and Financial aid fee waivers awarded to international students are absolutely at the discretion of the Scholarship Commitee of the institutions. Candidate with strong academics, good performance on standardized exams and extracurricular achievements would be eligible for scholarship awards and financial assistance. Along with the academics the presentation of the application is equally important. Some of the Universities offer special Scholarship/Fee Waiver/Aid to Canam UniSearch students. So a student aspiring to move to foreign land for higher education Canam UniSearch is your ultimate destination to get the best advice about how to succeed in winning scholarships. 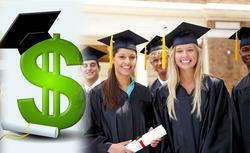 The scholarship assistance is provided to the students absolutely free of cost at Canam UniSearch.